Well thank Pete and Tink for hosting the WWC or I might not even remember I have a blog, let alone post here. I keep plodding along knowing someday I will sit down and actually write down all the earth shattering posts that are cluttering up my brain. Okay well maybe I'll at least get back into the habit of telling you funny drunk stories of my college days and the humorous antics of my family. For today I give you photos. Yes, again! 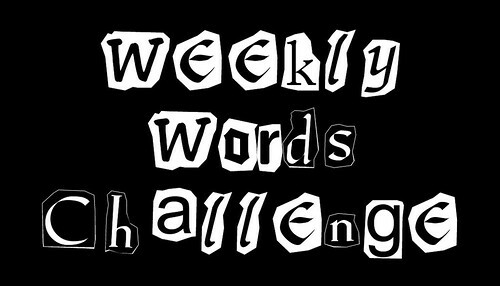 This weeks words are Lean and 3. *Clicky here for a comparison shot of the garden two months ago. what a beautiful caterpillar!!! WOw! Cool caterpillar! We only get the fuzzy ones at my house. Damn it. Apparently I did not get the code for the slideshow with captions. I have updated and now you can see the beautiful caterpillar is a horrible beast! Oy the technical difficulties today. Okay the pictures on the slideshow have captions. The linkee to old picture of garden now works. That critter, whatever his name is? He's one colorful enemy! And since I came here late, I got the whole scoop! Those tomatoes look wonderful. They'll look even better in a couple of weeks.